Health Human Services research papers examine the cabinet department charged with improving the health of the citizens. Part of the executive branch of the United States government, the Department of Health and Human Services, also known as the Health Department, is the cabinet department charged with improving the health of the citizens. As of January 2014, Kathleen Sibelius headed the Department of Health and Human Services. In 1953, the U.S. government was reorganized, creating the Department of Health, Education, and Welfare (HEW), the first new cabinet department since the creation of the Department of Labor in 1913. 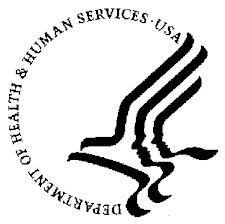 HEW was renamed the Department of Health and Human Services (HHS) in 1979, when the Department of Education was created by President Carter. Health and Human Services research papers have been written by political science experts. We can produce a custom written project following your guidelines. Numerous other health information technology and research programs. The Health and Human Services Department was frequently under criticism in the fall of 2013 for the turbulent roll out of the health care website mandated by the Affordable Care Act. Technical problems with the site threatened to undermine the reform of the American health insurance industry and the access to health care needed by many Americans. Obamacare research papers discuss the goals of Obamacare, which were designed to provide affordable health insurance coverage for all Americans. Order a research paper on Obabmacare from Paper Masters. Paper Masters writes custom research papers on Health Human Services and examine the cabinet department charged with improving the health of the citizens.